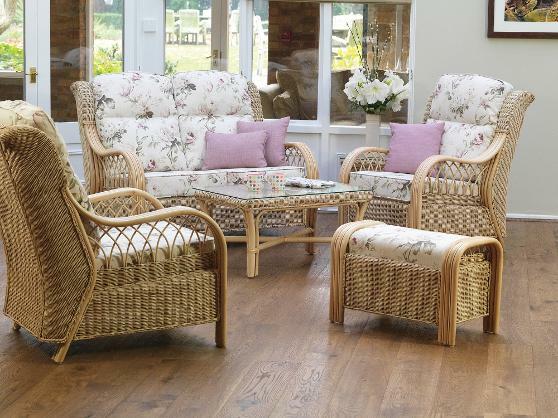 This design incorporates a traditional three pole structure and a combination of intricately hand woven Rattan in an authentic Light Natural finish. The high back design ensures a comfortable sit complimented by cushions which are reversible and easily zipped to aid ease of dry cleaning. The Kinsale shares accessories with the Glenmore range, but could also incorporate accessories and dining from the Oakham range. Shown in Light Natural Wash finish with Georgia Linen and Lavender fabrics.